Saturday 19th May 2018. 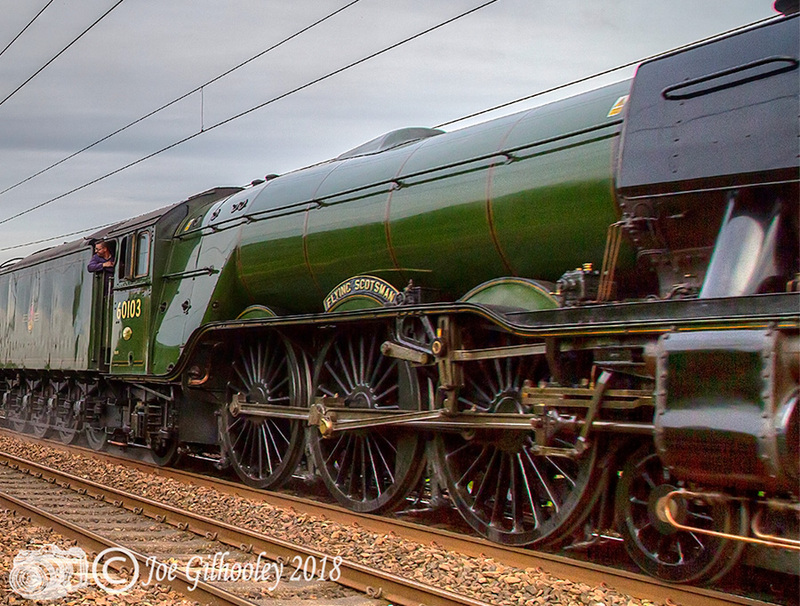 The Flying Scotsman travelled the East Coast Railway to Edinburgh in the evening, before it's Fife circle run the next day. 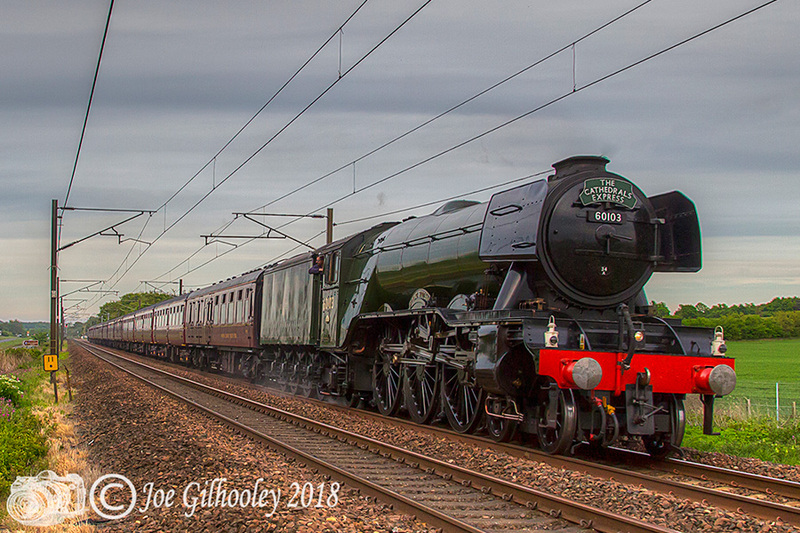 I caught it near Longniddry heading northwards. Pity there was so little smoke.